BridgeWell Capital has arrived in Sarasota! Real estate Investors in Sarasota can now enjoy the benefits of Florida’s #1 private money lender in one of the most beautiful cities in the state: Sarasota. Sarasota is located on the southwestern coast of the state of Florida. It is south of Tampa and north of Fort Myers. It is famous for the quality of its sandy beaches, outdoor amenities, weather, restaurants and quality of life, which are strong incentives for Real Estate Investors and Homebuyers alike to respectively sell and buy real estate in the area. If you are a Real Estate Investor looking to invest in Sarasota’s real estate, you have come to the right place! We offer private money loans for residential real estate investments. One of the main benefits of our private money loans is the flexibility of our loan terms and the convenience of our programs. Our private money loans in Sarasota, include loans for Investor buy fix sell projects, rental properties, investment property refinances and rehab credit lines. BridgeWell Capital offers easy approvals that include damaged credit and self-employed borrowers with stated income. BridgeWell Capital is ready today to get you started with your investments in Sarasota. So give us a call at 941-677-3077 if you want to speak to a representative, or submit a private money funding request. If you are considering Sarasota’s housing market, you have chosen a great place to invest. The significant growth of Sarasota’s market, and Florida’s in general, has attracted many out-of-town Investors looking for great deals. “The rest of the country is finally catching on to the fact that Florida’s real estate market is growing significantly”, said Florida Realtors chief economist, John Tuccillo. The increase in sales prices and availability ebb and flow according to the national trends, although they have been amplified by the simple fact that homebuyers actually “want to live here”. For Baby Boomers that have recently retired, taken advantage of stock market gains or have cashed-out some of their savings, Sarasota is an attractive market to purchase real estate. The bulk of demand is a 55-year old crowd that wishes to purchase real estate in Sarasota simply because it’s a great place to live. In these conditions, residential real estate in Sarasota have the potential for better-than-average appreciation over time. Smart investments are centered in areas with high quality of life; namely, established neighborhoods or gated subdivisions near schools, hospitals, and outdoor amenities. Having said that, the vast majority of transactions are being conducted in cash, with only a few days after houses hit the market. 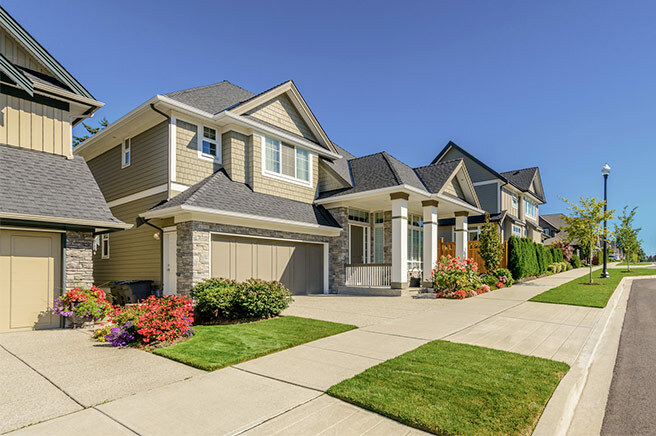 The strong buyer demand for housing, in particular single-family detached homes, is as encouraging for Real Estate Investors as the long term appreciation of real property. The recent year-to-year increase in the median sales price of homes in the area is a sign of recovery from the 2008-2009 recession. However, with more Investors entering the market and the fast turnaround of properties it may sometimes be difficult to find inventory. If you are considering Sarasota’s real estate market you need to be prepared to negotiate your deals. Sellers would often times push to negotiate with the strongest buyer. If you have the cash available when making your offers, instead of letting sellers set the terms, you can negotiate from a position of strength and get the best out of your deal. At BridgeWell Capital, besides financing, we can provide you with a proof-of-funds letter so you can prove to the sellers (and their agents) that you have the funds available. With our easy private money loan approval and closing process you will be able to quickly get the leverage you need to close your deals. Sarasota is a great place to invest in real estate, not only for the appeal of the area but also for the demographics. Sarasota has a population of about 53,000 people and 59 constituent neighborhoods. Unlike some cities in Florida (such as Orlando, Tampa, Jacksonville and Tallahassee) Sarasota isn’t mainly either white or blue collar; it is an even mixture of white and blue-collar jobs. It is a city of service providers, sales, office workers and professionals. The percentage of people in Sarasota who have at least a bachelor’s degree is somewhat higher than in the average US community. In 2010, the income per capita was $32,329, which is middle-to-higher income relative to the rest of Florida and higher income relative to the rest of the US. A variety of ethnicities populate Sarasota although White constitutes the racial majority, followed by Black or African-American and then Hispanic or Latino. All in all, Sarasota offers great opportunities for Investors looking to invest in real estate. The appeal of the area, the quality of life, the house value appreciation, the fast pace market, the above-average income per capita and the diversity of the population make this one of the best markets to invest in Florida.